Tamesha Means sued the religious organizations behind a Catholic hospital after they refused to give her treatment when her water broke at 18 weeks pregnant. A Michigan mom of three knew something was wrong when her water broke suddenly during the 18th week of her fourth pregnancy. She rushed to Mercy Health Muskegon—the only hospital in her county—where she was sent home twice in two days. "They sent me home with no answers. I was begging. 'You guys have to help me. I am in a lot of pain. I can't keep going home like this. Please help me'," Tamesha Means told Cosmopolitan in 2014. She went back to the emergency room complaining of an infection, only to have them dismiss her again. It was only after her child starting coming out of her body that they were willing to admit her. She later delivered the baby, who died hours later. Means sued the United States Conference of Catholic Bishops, the group that runs Mercy Health Muskegon, in 2013 for not giving her alternative treatment options. The reason: The organization's religious directives completely prohibit medical professional from giving treatment that could result in the termination of a pregnancy, even if the mom health or life is at risk. A Michigan judge tossed the case in June 2015, ruling that courts shouldn't be involved in religious doctrinal decisions. Means—along with the help of the American Civil Liberties Union—is appealing the case in the United States Court of Appeals for the Sixth Circuit, citing that medical staff has an ethical obligation to provide a patient with all of her options, even if they can't do it themselves. 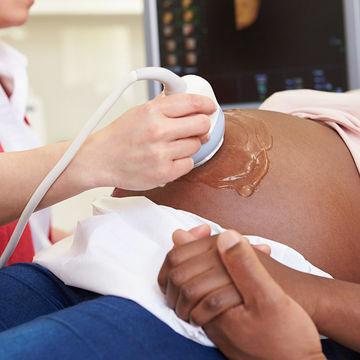 A group of medical professionals in the obstetrics and gynecology field agree; they recently filed a friend of the court brief siding with Means, arguing that giving this information is part of informed consent, a law that's in effect in all 50 states. "Organizations involved in the delivery of health care must ensure that their patients are provided with access to emergency medical treatment and information regarding important therapeutic alternatives. Pregnant women receiving medical care in Catholic hospitals pursuant to the Ethical and Religious Directives for Catholic Health Care Services (the 'Directives') deserve no less," reads the summary in the doctors' brief. "These women should not be categorically denied information about pregnancy termination as a medical option that may be necessary to protect and preserve their health." Health care providers who receive federal Medicare funds are also obligated under the conditions of participation to provide informed consent, ACLU Staff Attorney Alexa Kolbi-Molinas tells Fit Pregnancy. "In addition to the requirements of informed consent, state malpractice law judges physicians and hospitals by the prevailing standard of care in the community which is to provide patients with the information and emergency treatment they need," explains Kolbi-Molinas. "The ACLU will continue to fight in this and other cases to ensure that saving a woman's life or health is every hospital's first priority," she adds. The ACLU has fought on behalf of three other women denied care at Catholic medical institutions, and the organization recently filed a lawsuit against large Catholic hospital operator Trinity Health Corporation for "its repeated and systematic failure to provide women suffering pregnancy complications with appropriate emergency care as required by federal law." "A hospital that serves the public and accepts public funding cannot hide behind its religious affiliation as an excuse to withhold emergency care." Fit Pregnancy reached out to both Mercy Health Muskegon and the United States Conference of Catholic Bishops for comment, but did not hear back.